Wasp scissors are safe and simple. In days gone by, we hear from time to time, people used to make their own entertainment. Indeed they did; and in 1946 a slim tome was published by Wm. A Bagley called ‘Things to make and do’. TheÂ descriptiveÂ powers of Mr Bagley set out to inspire the youth of post-warÂ BritainÂ to engage in such frugal butÂ beneficialÂ pastimesÂ as ‘Whittling a bunch of keys’, ‘More whittling: a curious tripod’ and even ‘To create some bottledÂ mysteries’. During late summer days the following comedy, or something like it, will be frequently performed at picnics, camps and other alfresco meals. 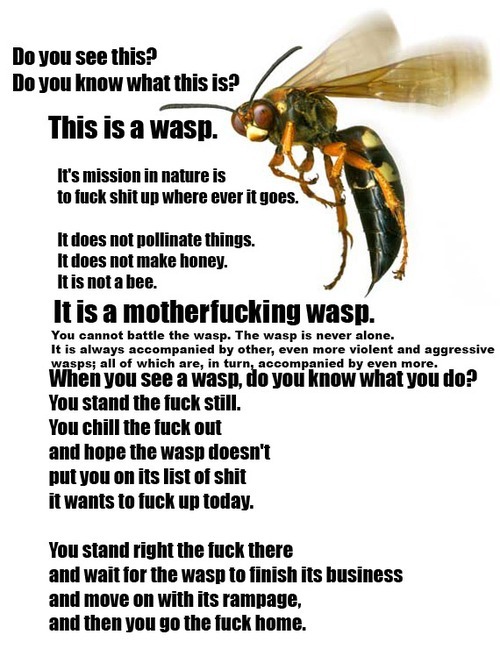 A fat wasp will land on the jam pot and everyone (especially the ladies) get excited. Father, attempting to swipe the wasp with a rolled-up newspaper, knocks the milk over into the sugar. The wasp, now thoroughly alarmed, stings someone, and whilst the sting is being attended to, about a dozen other wasps get stuck in the jam. Mother thereupon scoops out the contaminated jam, and so wastes a lot. Now, if you only had the pair of wasp scissors shown in the drawing you would not have all this bother. One little nip, and the wasp is quickly, cleanly, and humanely extinguished. You can make a pair in one evening at very little cost. They sell very well, too, among friends and neighbours, or at sales, etc. You want to see the wasp scissors? Of course you do! Continue reading Wasp scissors are safe and simple. Posted on 13th July, 2012 Author The Virtual RangerCategories The Ranger's surfing highlightsTags bagley, challenge, scissors, wasps, woodworkLeave a comment on Wasp scissors are safe and simple.